Rumi Morales is a Chicago-based financial technology and entrepreneurship executive. She joined Outlier Ventures in June 2018 as a partner. Most recently, she was executive director of CME Ventures, a CME Group subsidiary that makes strategic investments in early stage technologies that may impact the financial market space. She joined the strategic investment group at its inception in 2013, and became head of the group in 2015, when Mark Fields left the firm to become CEO of Wickr, a messaging app and one of the firms in which CME Ventures had invested. 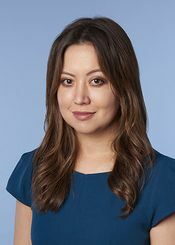 Morales joined CME Group in 2010 as executive director of international corporate development and finance and worked in the division for three years before joining the venture investment group. She left in September of 2017. Before joining CME Group, Morales spent several years at Goldman Sachs, last serving in Hong Kong as head of the Asia arm of the Goldman Sachs Global Markets Institute. She also was an executive on the fixed income, currency and commodities sales desk in New York and served in the Office of the Chairman. Before that, she was a principal at private investment firms in New York, London and Kuala Lumpur, where she executed direct equity and portfolio investments across three continents. "Sometimes the best innovations are those that tap into a basic need. Facebook improved communication. Uber helps you move. Airbnb gives you shelter. And when you think of financial technologies, and the importance of finance and banking, it is to make and protect money." Since the dawn of the Industrial Age, technology has facilitated change. This change has continued through the Digital Age, except that these days it tends to come much more quickly. The financial markets are now at the forefront of this change. Brick-and-mortar banks are being replaced by smartphone apps. Trading floors are being repurposed as office space. Even the old Merc Club, where for many years overpriced drinks were consumed by traders and brokers with oversized egos, has been turned into CME Group's Innovation Lab, a sort of 21st Century water cooler, where employees gather to exchange ideas. CME Ventures is a subsidiary of the exchange group that makes strategic investments in fintech startups. Its director, Rumi Morales, looks at the history of fintech, and offers a glimpse of what tomorrow may bring. While no one can be certain, the trends point to more digitization, artificial intelligence and cybersecurity - three areas that are at the same time exciting and scary. In 1996, Morales earned a BA in Political Science and Japanese Studies from Wellesley College, where she was elected to Phi Beta Kappa. In 2002, she earned an MBA in Finance and International Business at New York University, Stern School of Business. ↑ Rumi Morales. Crain's Chicago Business. ↑ CME Ventures. CME Group. ↑ CME exec Mark Fields named CEO of San Francisco startup. Crain's Chicago Business. ↑ Rumi Morales, Executive Director CME Ventures. World Federation of Exchanges. ↑ The 2015 Fintech Finance 35. Institutional Investor. This page was last edited on 7 July 2018, at 16:03.